Cointreau is a triple sec style orange liqueur invented in 1875. Adolphe and Edouard-Jean Cointreau started their distillery 26 years earlier and had labored on some now forgotten products during those early years. Edouard-Jean's son Eduoard achieved cocktail culture immortality for the company when he created the namesake liqueur from bitter and sweet orange peels. He used a beet sugar based spirit - technically a rum but highly refined into a more neutral spirit. Sugar was added and the result was the orange liqueur we still know today. The Cointreau distillery started advertising in films in 1899, only 3 years after films were invented. By the early 1900's Cointreau was selling 750,000+ bottles a year and started branching out across Europe. Also during this period many famous cocktails were invented that used Cointreau such as the Sidecar and The Corpse Reviver No. 2. We should be grateful that today's Cointreau is pretty much the same product that was originally produced. There has not been any dumbing down or "mainstreaming" of the flavor profile or strength of Cointreau like we have seen for Amer Picon, Lillet, and Herbsaint. You are using practically the same product that was used to invent all those wonderful classic cocktails, so recreating those cocktails as their inventors intended is that much easier. 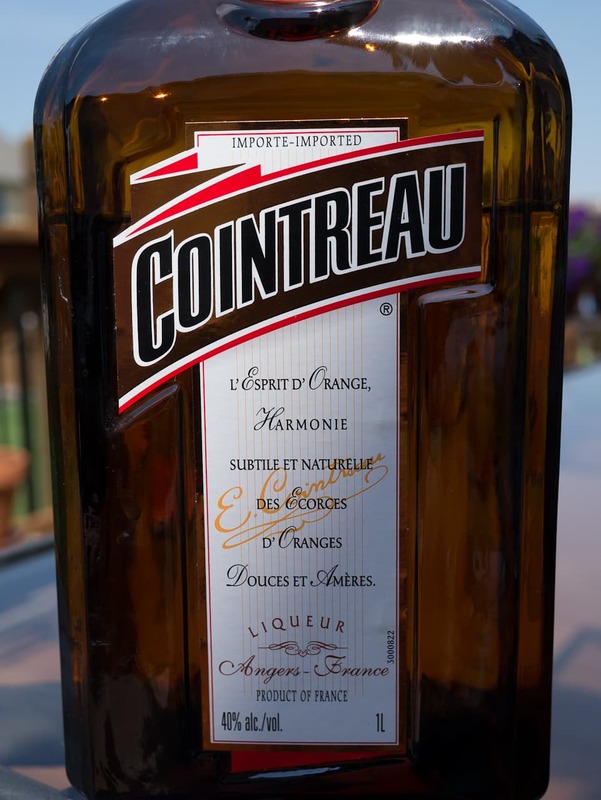 Being in the triple sec vein, Cointreau has a clean, dried orange flavor profile with the addition of some sweetness and some rather fiery heat (especially for a liqueur). This has always made Cointreau a mixing ingredient for me instead of drinking it straight. Cointreau pushes drinking it neat or on ice by itself in their marketing, and I guess some people do that, but I've always found it more valuable combined with other ingredients. A common formulation will be a base spirit, Cointreau, an acid, and perhaps a modifier such as an aperitif wine or bitters. So usually what you are trying to balance is the Cointreau and the acid whether it be lemon or lime juice. Cointreau is not as sweet as it's cousin orange curacaos and far less sweet than the bottom shelf "triple sec" you find at the liquor store. Either they use less sugar or the bitterness of the orange peels is toning down the sweetness (or both). So you need to use a little more Cointreau to balance out the acid, usually 2 parts Cointreau to 1 part acid. Is Cointreau the essential orange liqueur to use in Margaritas? Some recipes claiming to be the original Margarita use Cointreau. But I find the the clean and lean profile of Cointreau doesn't do as much for me as a richer brandy-based orange curacao such as Grand Marnier. This is a matter of taste though and your preference will likely vary. So which is it for you - Cointreau or Grand Marnier?